As I get some questions, comments and even criticisms about a particular aspect of this article, I thought it was time to do an update to try and clarify some things, and also add images from my newest OTAs. 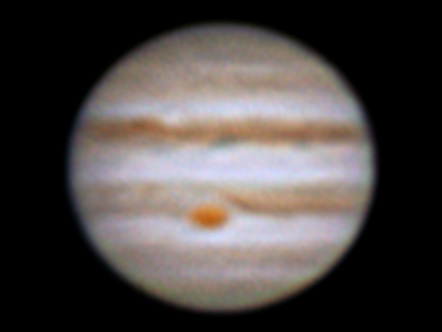 So, some people tell me that images are not a good indication of the overall performance of a telescope in planetary viewing, especially when observing visually. I would say that this is not correct, but not entirely incorrect either. You will notice the article is called “shootout”, so it is primarily about shooting images, but my original intend indeed was to evaluate a scope’s overall performance, so I did make remarks about differences in visual observing. It is just that images are the only objective way to demonstrate planetary performance and they are so easy to take nowadays – any webcam will do – that most people will try them. So, what exactly is different in observing? What is it that photos can’t show? First of all, if you can see a specific detail in an image, there is a chance you can see it visually, but there is no way you can visually see more than an image made of hundreds of frames shows, hence think of the detail in an image sort of like the “ceiling” of what you can see when observing. However, how easy the detail is seen will also depend on things like contrast and color and this is where post-processing an image makes a big difference and “hides” difficulties you might have when observing. Specifically, while the amount of detail you can “pull out” of a picture is quite dependent on your aperture, the telescope design makes a big difference in what you can see in the eyepiece, as a smaller aperture with a smaller “ceiling” of detail that can show up in processed pictures, might have a much more contrasty and colorful image that will actually make some details very prominent and give an overall more pleasing picture. Since the biggest difference in visual vs photo comes from post-processing adjustment of contrast/color/sharpening etc I have added the stacked but not processed (just brightness-normalized) versions of the photos previously posted, which can give a better idea of what you will get visually out of each scope. 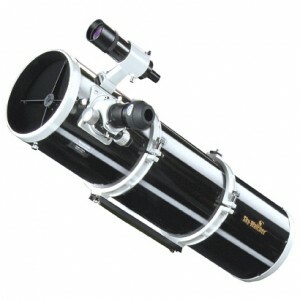 When choosing a new telescope you must decide what you want it for. If you want to see wide-field deep space objects, then many types of telescopes are considered inappropriate (Maks, SCTs, long tube refractors etc), since they would be too dim or simply not fit the objects in your field of view. If, on the other hand, you would like to see the planets, these same telescopes would be the best fit. 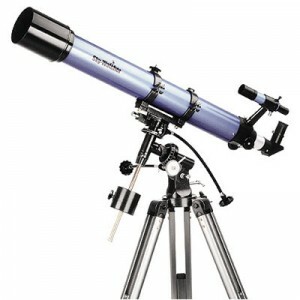 However, could you still use a wide-field capable telescope for planetary viewing or photography? And in general how do various types of OTAs perform in the solar system. 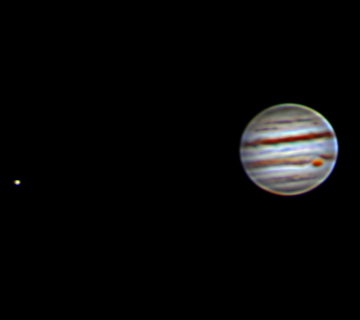 Since I have a nice little spectrum of OTAs, including refractors, catadioptrics and reflectors, I though I should try to answer these questions by doing a comparison test under similar conditions with Jupiter as the target. 4 of the test OTAs: 2 refractors, 2 catadioptrics. A 9.25″ f/10 catadioptric SCT. This post originally “maxed-out” at the C8, but as I upgraded I though I should include this little wonder of a scope. Why I say that? It seems to be much better than the C8, more than the small aperture difference would indicate. Offering a huge focal length in a compact package, it is considered great for high magnification views, including planets. It is by far the most expensive OTA in this test, but that is because I only have a very small APO refractor to pit it up against (e.g. a 130/140mm APO that would start being competitive, would cost much more). An 8″ f/10 catadioptric SCT. This was the most expensive scope in the original version of this article, but I added its bigger brother. SCTs are planetary favorites, so it should give a good show. I have an older “Starbright” version for this test – the currently available “XLT” should have a bit better light transmission, but the difference is barely visible and the resolving ability is the same for both versions. An 8″ f/5 Newtonian reflector. Although it is relatively fast and recommended for deep space astrophotography, it should still be OK for planets. As always, Newtonian reflectors have the best aperture/cost ratio of all telescope types. A 5″ Newtonian reflector, the small brother of the 200P-DS. 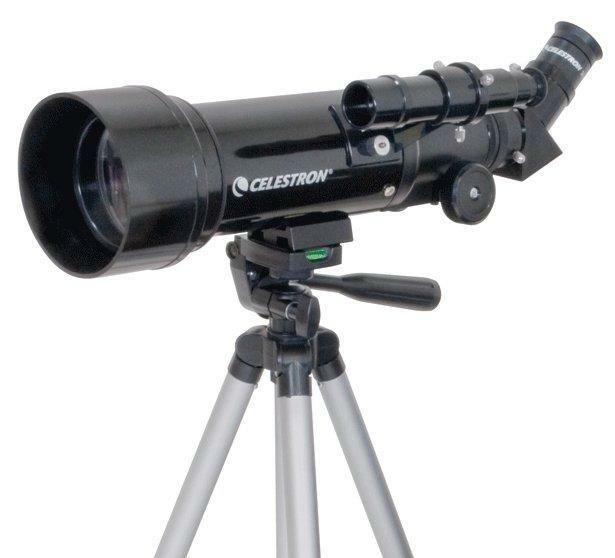 It is one of the three least expensive telescopes in this comparison and it is made more for wide-field astrophotography in mind. A 5″ Maksutov-Cassegrain with a very long focal length (f11.8) that is mainly considered as a planetary scope. 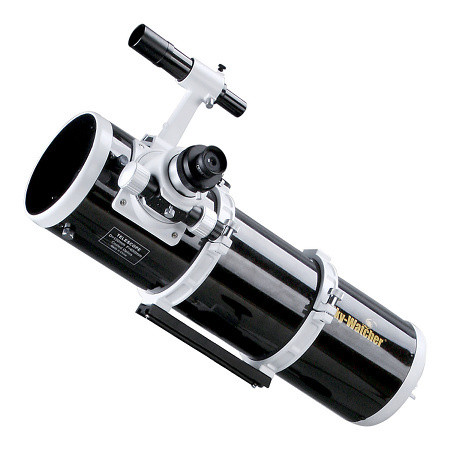 In fact, this specific model is sometimes referred to as the “planet killer”, because it is supposed to give you about the best planetary images possible from a small and relatively low cost telescope. The Celestron version is only available as a package with an Alt-Az computerized goto mount, so for an OTA-only you would be looking at the very similar Skywatcher Skymax 127. The Maksutov, like a Schmidt-Cassegrain is between Newtonian reflectors and high end refractors in the aperture/cost ratio. A small (80mm) f7.5 relatively low cost (for an apochromatic) doublet refractor. Due to the fact that it is not as corrected as expensive triplets and it does not have a particularly long focal length, it is moderately recommended for planets. Apochromatic refractors are probably the most expensive telescopes for their aperture and are mostly preferred for deep space astrophotography where their high image quality is more important than their aperture. Price: OTA retails around £350 OTA-only or £450 / $670 with accessories. 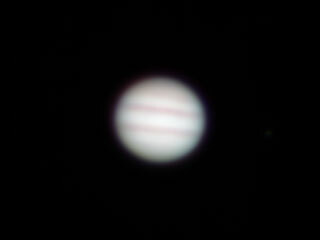 A longish (f9.1), cheap 90mm acrhomatic refractor. It is not as portable as either the shorter refractors or the Mak, but it is not heavy, so even a light mount can support it. It comes in a very well priced package that is also good for terrestrial viewing, with an AZ3 mount and erect diagonal, or an also well-priced equatorial package (EQ2). 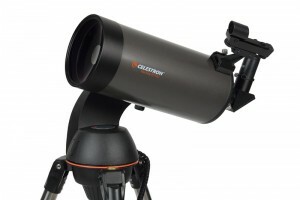 Price: Retails around £135 with an EQ2 Equatorial mount. 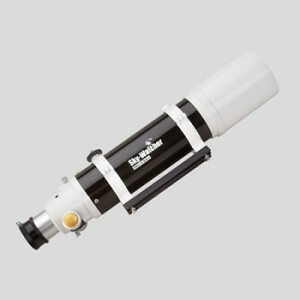 A short (f5.7), small, cheap 70mm acrhomatic refractor. It is an excellent inexpensive travel scope, but it is the opposite of what would be recommended for viewing planets. Added to the test to see whether one of the cheapest telescopes you can buy can give any results. Price: Retails around £50 / $80, including photo tripod, bag, accessories. The photo sessions were done over 3 relatively clear nights over 2 weeks (for the UK it is not considered bad) from my urban backyard in Stockport, UK. The seeing was average, but similar over the sessions and each telescope got 2 sessions except the TS 70 and the 200P-DS which only got one. 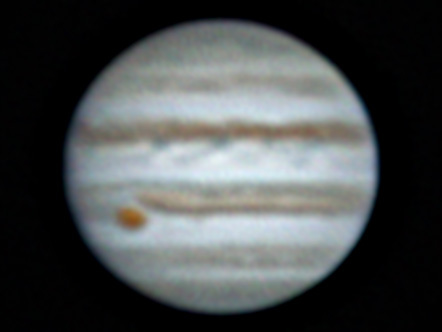 Given the fact that the 200P-DS session was relatively windy and I used the ZEQ25 mount which does not like wind with long OTAs, the 200P-DS is at a disadvantage (so I later added a better image with a 5x powermate to show where it can go). 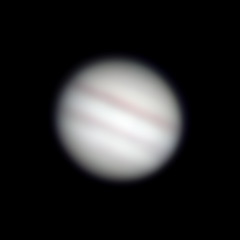 The C8 is probably also at a small disadvantage since at the time I was collimating it visually and due to the average seeing the collimation might not be perfect, but you can’t really get perfect seeing in the UK anyway. 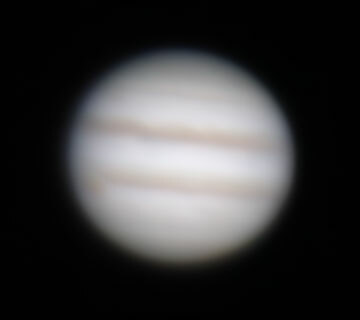 Also, while I have a good monochrome planetary camera and filter wheel which should produce the best possible results, I elected imaging with the 60fps 640×480 Canon 550D crop video mode (shooting around 1-1.5 min video for each frame), since it gives decent results quite faster thus would allow quicker sessions with each telescope (remember, this is the UK, clouds are looming!). The camera was attached for prime focus photography directly (no diagonals, flatteners etc) and also with a 2.5x 3-element High Point barlow. To level the field, I did not use a bahtinov mask (since I only have one for 2 of the OTAs). Instead, several videos were shot to get the one with the best focus/seeing conditions (with focusing at 10x live-view). 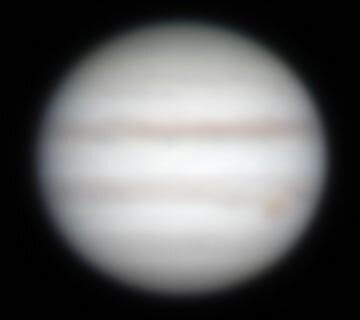 Depending your sensor, it is generally recommended to use a scope at f/20-f/35 for planetary imaging, so for some fast OTAs a stronger barlow would be welcome. However, you would need identical quality barlows to do the comparison, so I ended up using my “middle” quality / power barlow that could be used for all. 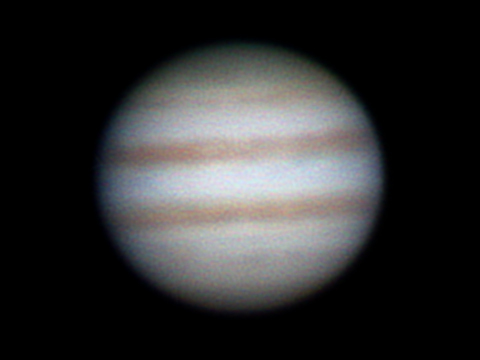 While a goto mount was used (iOptron ZEQ25), it should be noted that you can do planetary photography with something simpler – theoretically even a manual mount (a dobsonian at a stretch), as you only need to keep the planet in your field of view for a few seconds and it does not matter if it moves around. Lastly, the MOV videos were converted to AVI and centered with PIPP, then about 800-1000 of the 3000+ frames were stacked and sharpened with Registax v6. 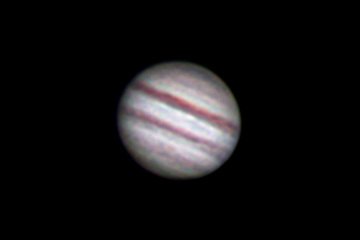 Theoretically I could do my final stretching/saturation in Registax, so you don’t actually need any other software, but I am used to doing the last step in Photoshop. Let’s have a look at the processed results, starting from the smallest aperture. I tried to use the 2.5x barlow, however I could not get focus within the available focus travel, so the image is without at barlow, with a 2x resize on registax. 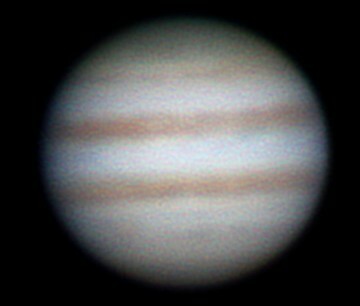 The good news is that you can see bands on Jupiter with an telescope that seems almost toy-quality and price. It does not hold much color information or any detail, but this is a telescope that no-one would recommend to you for planets anyway. From the un-processed image you can see the “halo” caused by chromatic aberration since it cannot focus all colors at the same point (which also causes the details to not be sharp). Here you can see what a difference 10mm of aperture makes when it is accompanied by great increase in optics quality (apochromatic doublet) and a longer focal length. You start to see thinner bands, more detail and, in fact, the color information is the best of all telescopes (it is more obvious from the unprocessed image) – with the others you have to give a good saturation boost to see color. 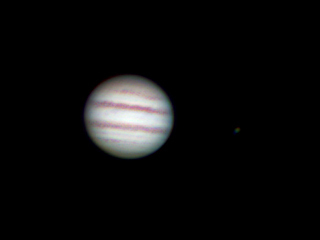 An interesting anecdote is that a novice looked at Jupiter through an 8″ reflector next to me and then through my 80ED, and declared “ah, I see, the smaller one is actually the better one, right?”. An experienced user would not that you could discern more detail in the 8″, however the color and contrast of the refractor does add a “wow” factor. 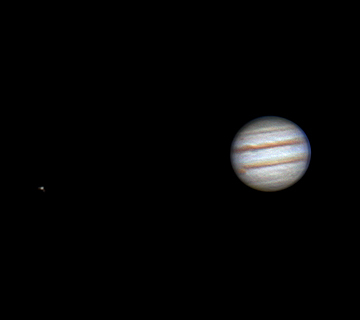 I added a 3x TeleVue barlow image (which I didn’t have during the original test) to show just how much more detail you can get out of the small refractor (since at f/7.5 it needs a larger barlow to compete with Maks and SCTs). Although we increased aperture, the image is a bit of a regression. The increased focal length gives a larger image, but the lower quality uncorrected optics lead to a loss in sharpness. 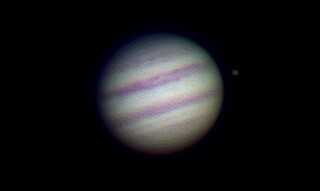 Still, this scope costs much less than any other (except the tiny Travel Scope) and looking at Jupiter through it is quite a satisfying experience and the colors are really there, no need for much saturation bump in post-processing, as you can see from the un-processed image. Of course in that pic you can also see some “extra” color in the form of a purple “halo”, which is the chromatic aberration. A faster (e.g. 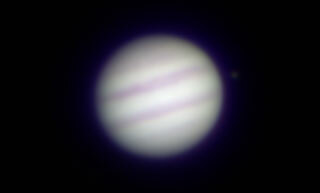 f/5) refractor would suffer more. The Maksutov, at 127mm is supposed to have 2.25 times the light-gathering capability of the 80ED (taking into consideration the 42mm central obstruction). 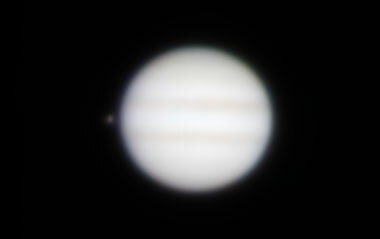 It also has 2.5x the focal length with makes it very well suited for planets. As expected then, it does deliver more detail on Jupiter, even though I had to “help” the Mak’s images with more tweaking of levels and saturation due to its worse contrast. Count in the fact that the Mak is cheaper, it becomes clear why this particular telescope has such a good reputation for planets. Of course, against a (much more expensive) Apochromat with less of an aperture disadvantage (e.g. the Evostar 100ED) the result would not be as favorable, but its cost/performance cannot be denied in any case. Visually though, the 80ED is more pleasing, with actual reds showing up and the belts exhibiting a bit more contrast. 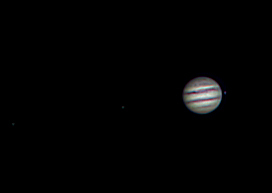 I had both of them (80ED & 127Mak) set up side to side one night and asked about 10 people to see Jupiter through them and everyone easily chose the 80ED as the best image. The 130P-DS has a larger aperture from the 127 Mak by a very small margin (the actual working aperture of the Mak is 122mm so there is an 8mm difference), but both visually and photographically I always seem to get a little more detail out of the Mak. It is less obvious from the images because the 3x barlow is a higher quality one (TeleVue), but the difference is definitely there. Is it because of the effect of the Newtonian’s spider vanes, because of the protruding focuser barrel, because of the factory-collimation of the Mak? I don’t know, perhaps all these contribute. However, for its price the Newtonian is a solid performer. In fact, I would say it is possibly at the top of the bang/buck curve. Again, with a refractor you will see some more color, and if the refractor is Apochromatic it can give you better views from a much smaller aperture, but at a much greater price. 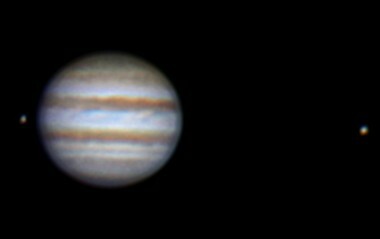 Now both use a bit better quality barlow than most others in the test, and the second also uses a PC to capture the uncompressed 5x LiveView of the 550D which can give a bit better results in good seeing conditions. So it is interesting to see that, still, the 127 Mak can give it a run for its money. The 200PDS collects more light so it is brighter at similar magnification, which helps visually, but you don’t really get more detail. As with the 130PDS, things that might not be helping the 200PDS’ Newtonian design are the spider vanes, the somewhat protruding focusing tube (less effect than the 130PDS). Yes, this dramatically inferior image is with a C8 that seems collimated as far as the “out of focus” procedure goes – the dark circular obstruction centered using a very out of focus star. Puzzled that I could not get it more “in focus”, I read more carefully about SCT collimation and it seems that you have to continue making finer adjustments using the diffraction patters at high magnification and even the airy disk if the seeing permits it. As discussed, these nights were of average seeing (as usual here) so I could not collimate at a very high magnification, hence the C8 was at a disadvantage in this test, a perfect collimation will yield better results. Since this test I have found that using a camera and software like Metaguide you can achieve perfect collimation even on average seeing nights – add this to the list of things to retest! When I started this article my chosen “planetary scope” was the C8. Since then I found a great deal on the C9.25 and I upgraded. The C9.25 is sort of “legendary” for its performance with some claiming the fact that it is longer, using an f/2.3 main mirror instead of an f/2.0 to be the reason. I can’t tell you for sure, but the difference sure does not seem like a measly 1.25″. I guess from my experience with both I can say that the C9.25 seems to be a bit more tolerant to collimation, so perhaps that could explain what people are seeing? 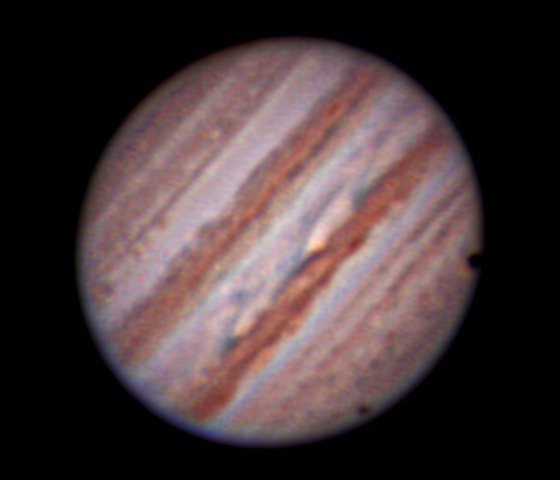 The fact is that I can use significantly more magnification than any other scope I have, always maxing-out the seeing (at around 400x-500x for the best nights in Greece, usually less in the UK), so apart from imaging the observing experience is improved as well. At 9kg it is the same weight, but shorter so easier to handle than the 8″ Newtonian, and in general I consider it the best planetary scope that you can easily carry. My little test went pretty much according to theory. 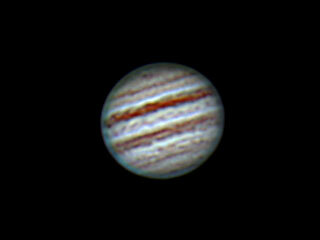 For viewing and especially imaging planets, both aperture and focal length count. If you take into consideration the prices of the OTAs, a few things become clear. First, if you only care about planets and are on a budget, a good idea is the Maksutov. The 5″ is the best at performance/cost even among Maksutovs, as the 6″ goes at more than twice the price (around £500) and the 7″ at three times the price (over £700) – although especially the latter (7″ / 180mm) at an impressive f/15 is supposed to be amazing, provided that you can cool it somehow and that you protect it from dew at the same time. Maks are sort of a one-trick pony though, most people get disappointed by their deep-sky performance (limited field of view). 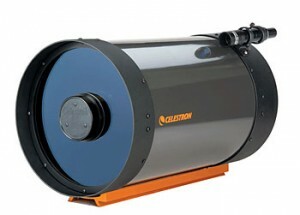 Now, as an optical tube, the 5″ Newtonian seems to be a better buy at a lower price and performance that is not far-off. However, it is significantly heavier and longer so as a package with a mount that can handle it equally well it will be more expensive (but the Newtonian is a good deep-space medium-to-wide field scope, planets are not its specialty). 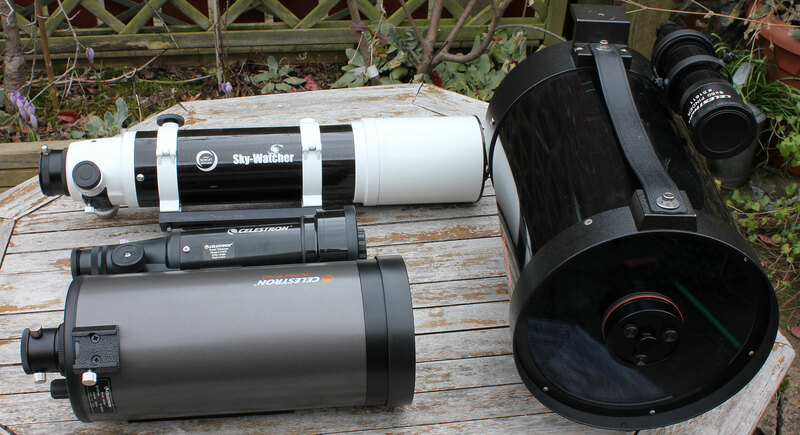 So, if you can’t afford a Maksutov, better look at achromatic refractors like the inexpensive Evostar 90 you see above. Third, SCTs are also great in that they provide the biggest aperture and focal ratio that you can actually carry. They need very precise collimation, you can’t just take them out of the box and use them like a Mak or a refractor, but after collimating them they do deliver. If portability/size is of no issue to you, you could get a much larger Newtonian (which will also be great for wider field deep space views) at the cost of a smaller SCT – provided that you have the huge mount required for it. Also, among SCT’s, I consider the C9.25 to be the most interesting model. For whatever reason it seems to be quite an upgrade from the C8, while it still stays below the 10kg mark which I consider sort of a limit to what I personally consider “easy to carry”. So, I hope I gave some insights about observing planets on various telescopes. I have already updated a couple of times with new scopes, perhaps there will be more in the future. April 9, 2015: A larger apochromatic refractor was added, the Evostar 90. Given its long focal length which makes it better suited for planets, it can be considered a decent entry-level planetary scope, unlike the tiny Travel Scope, for those who cannot afford a more expensive scope like a 127 Mak. April 28, 2016: 130P-DS and C9.25 added. Also no pre-processed images are shown to better explain the differences in visual observing. April 30, 2016: Added 200PDS images with a 5x Powermate. Processing of a couple of images was changed to smoother wavelets. « The easy solar filter: Baader Astrosolar Film on aperture mask cover. Great review, very interesting, especially helpful if u are just about to buy a Scope! I was just about to return my “Planet Killer”, so glad I saw this. I now know my 127SLT can do some amazing things! Thank You! Thanks. I generally test & compare things I own, hence not many mount comparisons except the iOptron ZEQ25/CEM25 (and in comparison to the HEQ5), as those were the mounts I’ve had. Hopefully I’ll try something else in the future and write about it! I am in the process of getting my first scope. This article made me consider the affordAble Mak compared to the more expensive APOs i was willing to buy initially(102mm apo) plus an EQ mount(maybe for photography in the future). I would like to view planets first, then maybe deep space objects later on. Thanks for the helpful info! You’re welcome. The APO is definitely worth the cost for people who can afford it, and it is more pleasing visually even for planets, but if you struggle with the budget or want more portability the Mak is a good choice.